Master Kush seeds from Sunwest Genetics produce a plant with the classic flavor of Hindu Kush strain. It’s strong genetics come from the Hindu Kush region of India and were further improved by growers in Amsterdam. The smell of Master Kush is often described as a combination of citrus and incense. This strain is ideal for a potent indica experience. Master Kush has genetics that can be traced all the way from India and Europe. Its parent strains were known as “landrace strains“. These are strains that are original ancestors of modern day cannabis strains with relatively unchanged genetics. The 2 genetic landrace parents of Master Kush originate in India while they were further improved in Amsterdam. Master Kush is known for its full body relaxation effects without the dulling effect on the mind that is typical of indica strains. This strain is recommended for beginner smokers who wish to experience a pure indica high characterized by mind clarity and some body high. Unlike some indica dominant strains, Master Kush does not give you a mind numbing feeling and instead relaxes the body. It is one of the earliest flowering strains on the market at only 8 weeks. After it’s 8 week flowering time, big, dense, resinous buds can be expected from this high-yield cannabis plant. Kush strains are recommended to be grown with at least some prior cannabis growing experience but are still fairly easy to grow. Like most indicas, Master Kush is a short plant so it doesn’t need much space, produces high yields and produces bud in roughly 8 weeks. I am a chronic pain sufferer. Master Kush was recommended to me by a friend. I’m very happy to say it not only helped with the aches and pains it eased the anxiety I feel from being in constant pain and allowed me to relax before bed and sleep well. Tremendous nice strain. Makes me truly creative yet sleepy at the same time. In actuality good if you need to just chill out as well as focus on the assignment at hand. Master Kush Feminized strain is made popular because of its prize-winning quality, THC level and amount of yield. It has earthy smell, not suggested for medical use. Apart from its THC level it gives a good quantity. Thank you SWG to give me an opportunity to buy it. I ordered Master kush last season. But too much water killed my Master Kush female plants. Supply the plants just with the accurate quantity of water. Stick your finger under the soil about 3 inches deep and water the plants if there is no moisture on it. This time I have success . Thanx to guide me Sun West Genetics. Very strong dank pungent smell & couch lock high. Those that have strong acceptance to a strong high this is a anytime use and for those that smoke hardly ever make sure you smoke at night-time. This is a great strain for my family member who has arthritis. It is better to help with inflammation and pain and to come off opiates that were harming her kidneys. I am so thankful for Sun West Genetics giving us a responsible and professional company to deal with. I am going to order some more strains to try. 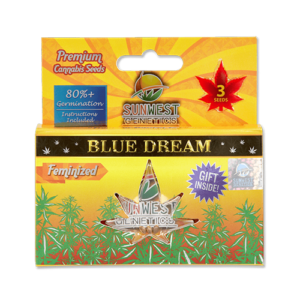 Bought Sun West Master Kush…. arrived in 10 days. Not bad time. Great germination. On our 4th week. Looks strong so far. will report after the flowering stage.